The foundation to great communities starts with creating welcoming environments where people can come together. 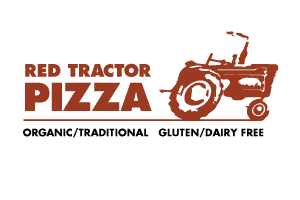 At Red Tractor Pizza we aim to provide a lively and warm space to gather together to enjoy thoughtfully crafted foods & drinks as well as lively and engaging music & entertainment! Founded in 2014, we wanted to be a part of the movement towards local, organic & sustainable food consumption and production in Bozeman, MT. We work directly with our local organic farmers and food producers to bring the freshest, most sustainbly and thoughtfully raised foods directly to your plate! We believe that these foods are not only the building-blocks to a healthier & happier lifestyle, but to healthier & happier communities! While we try to reduce the negative impacts we might have on the environment with our daily business practices, we also try to regularly impact our community in positive ways by hosting live music & family-friendly entertainment throughout the week as well as offering our space for community events & fundraisers. We also give-back generously through our ample community donations and through our community partnerships with local not for profits with like-minded initiatives. We are honored to be part of Bozeman and be able to serve our guests & our community!